We’re baaaaaaaack! Greetings and thanks to the many who’ve inquired about when our next post would be coming. We’re touched that you miss us when we aren’t writing. We miss you, too! By the way, if you really need a Kitten Fix and we’re between posts, you can also find us on Facebook and Twitter, where we regularly add photos of what we’re sipping. The Big Excitement in our world has been the release of our very first wine under our very own Thirsty Kitten label, the 2011 Sierra Foothills Syrah. It all began when we planted the grape vines with our bare hands, tilling the rocky soil, uphill both ways. Selective pruning of the grape clusters during the growing season left us with only the most succulent fruit at harvest. 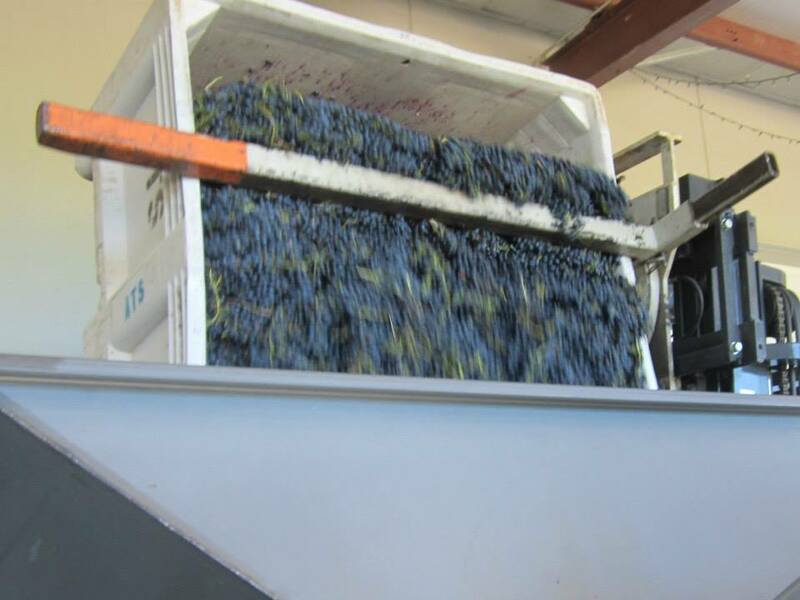 Stomping the grapes was probably our favorite part. OK, we did none of these things. You weren’t falling for it, were you? 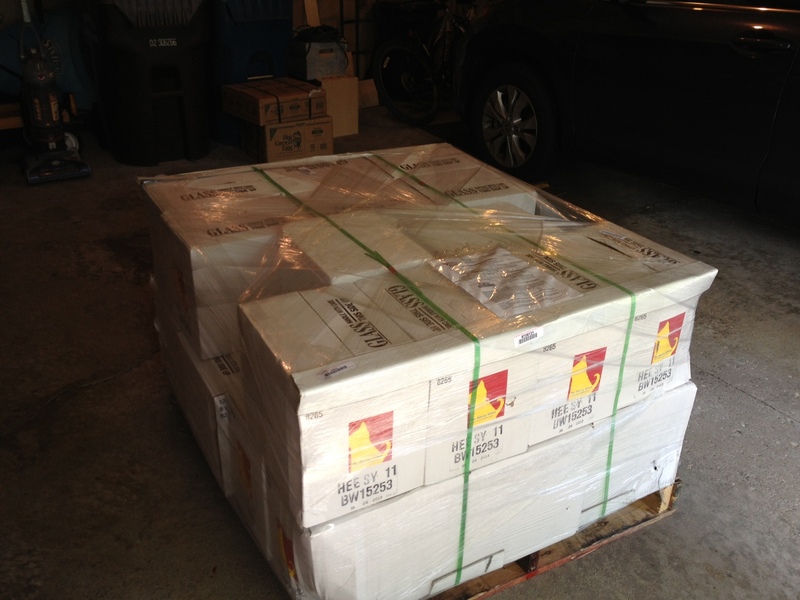 In truth, the good folks at Judd’s Hill MicroCrush did all the heavy lifting for us. We’d been talking for quite a few years about custom bottling something for ourselves as a way to put our toes in the water of winemaking. We thought of it as an opportunity to learn by having front row seats to the process, getting to interact with an experienced winemaker, ask all the questions we ever wanted to ask about making wine, AND amass a large supply of everyday drinking wine in the process. On that visit, we tasted a Sierra Foothills Syrah that Judd’s Hill had in barrel and we were smitten! With only one year of age since harvest and a full year to go before bottling, we were impressed that the wine already had a beautifully balanced structure, with good fruit evident—dried cherries and fresh raspberries to our tastebuds— as well as nice acidity and subtle hints of pepper and cocoa powder at the finish. It was more restrained than some of the blackberry jam style Syrahs that many California wineries produce. Don’t get us wrong, we enjoy the robust blackberry style, but we were very intrigued by the somewhat more refined, European character this juice was showing. 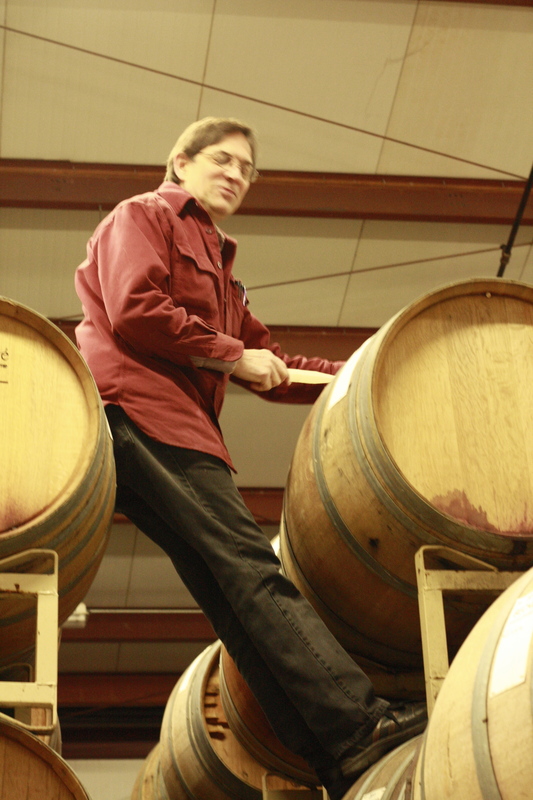 Kenn Vigoda, winemaker for Judd’s Hill custom crush clients, spent time with us on our visits to the winery, barrel tasting with us each time and sharing thoughts and insights from his many years of winemaking. Before coming to Judd’s Hill, Kenn had been at Napa’s Raymond Vineyards for 24 years, starting in the wine lab and working his way up to long-time winemaker. We had the option to return just before bottling to create a customized blend with our Syrah and we toyed with the idea. Having witnessed other custom crush clients in the blending process, it looks outlandishly fun. Kenn brings out beakers of wine varietals and together with the clients he adjusts the mix in small increments, tasting as they go, until they strike the precise flavor profile they are seeking. However, our Syrah was sipping so beautifully all by itself that we hesitated to do anything to change it. So here we are, a couple of Happy Kittens, with our very own wine to our name. We are reluctant to admit how many of the 288 bottles have already been consumed or shared with friends. Let’s just say “a lot.” And we are delighted to report that we felt bold enough to sign up for two more years of Sierra Foothills grapes. The 2012 is already in barrel, of course, just as the 2011 was when we bought it, but for the 2013 harvest we contracted for grapes in advance of picking and got to enjoy the thrill of starting the process right from the crush. At this rate, we’ll be getting our feet stained purple and doing the stomping ourselves in no time. In the spirit of taking a leap to learn about something you love and of seeing that even tiny kitten steps can inch you closer to your dreams, we raise our glasses to everyone who nudged us, inspired us, helped us, gave us wise advice, and encouraged us along the way. Many in number, we wouldn’t have gotten to this point without you. If you want to go far, go with friends. Salut! Congrats! I love the label – very cool! Thanks, Camille! Have enjoyed your recent posts on planning a visit and going to Olympic National Park. Also, Coraline’s new Happy Place make us smile! Cheers! Thanks, Sue Lynn! You have been right there with us at some momentous points in the dreaming process :). 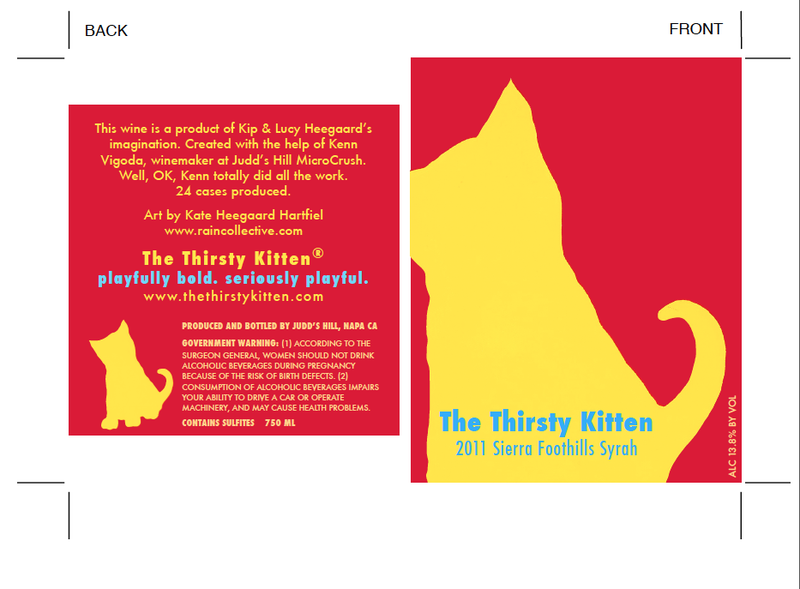 The next dream is to make Kitten wine available on a small scale in retail wine shops. But for now, we are happily sipping and pouring our stash of wine for friends.